I don’t know how this song flew under my radar for so long, but now that I’ve found it, I’m all about that bass! So much of the love your body image has been directed at women that I think men have been left out. This guy is an amazing dancer and he is just so damn adorable. He could tell the EXACT same story as Meghan Trainor. He’s all about that bass, too! 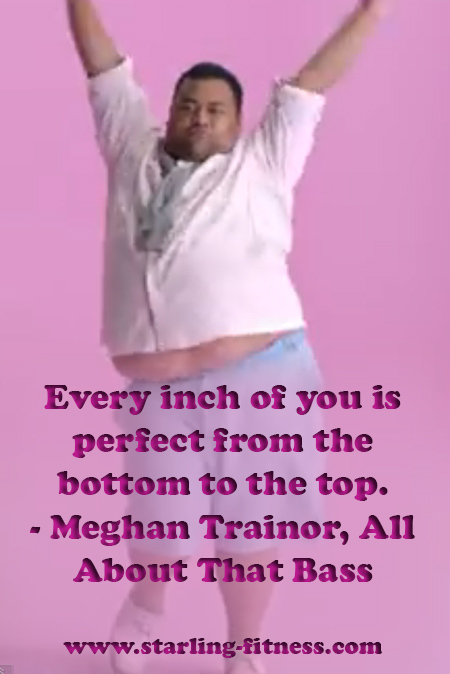 Every inch of you is perfect from the bottom to the top. The next time you’re feeling down about your body, put this song on and crank it up!